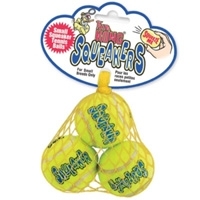 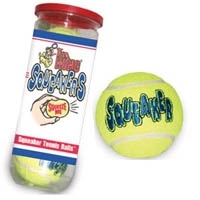 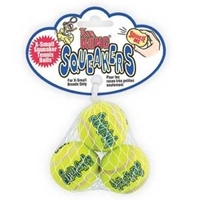 Your dog will love these yummy flavored tennis balls. 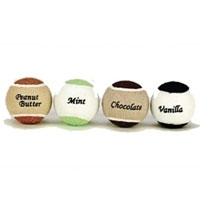 They come in a 4 pack of assorted flavors; peanut butter, chocolate, mint and vanilla. 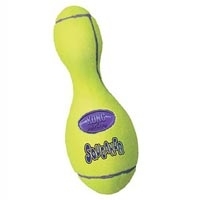 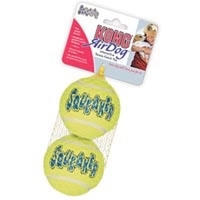 Big, bright 4 inch tennis ball is durable and brightly colored! 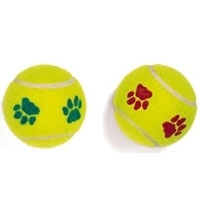 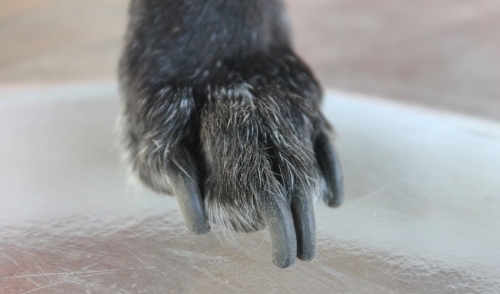 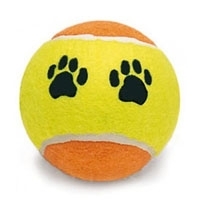 Brightly colored tennis balls with paw prints 6 inches all make fetch lots of fun and is a great way to exercise. 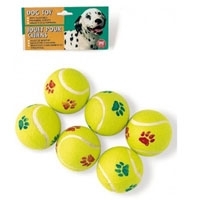 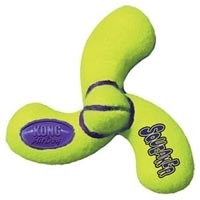 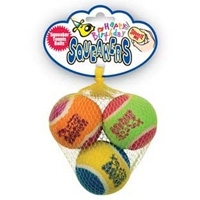 Mint Flavored Tennis Balls in bright colors are a great exervise toy for your best friend.